Lee Haskins ties a foam bonefishing fly… and catches fish. I was on Blanton’s Board, looking around and I saw “Belize Report” from Lee Haskin. Good stuff about permit and tarpon and a little about bones. 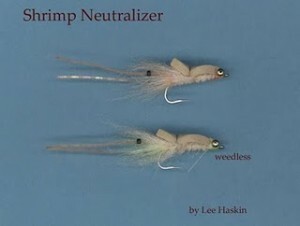 The pictures though… well… the “Shrimp Neutralizer” pattern… well… what?!?! FOAM?! I certainly hadn’t seen that before. Really creative and it looks as if it caught fish. Now that would have been handy to see before my Belize trip. 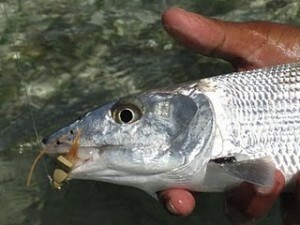 The Shrimp Neutralizer was very effective on bonefish and even had an “eat” from a big permit! Great to use a fly that suspends and doesn’t hang up in the grass or coral! via Trips, Flies and Fish: Belize-Rumble in the Jungle!. Lee's bone and FOAM fly. Cool. Lee... that's innovation. Well done. Check out the trip report… you’ll see that Lee’s permit and tarpon were a littttttle bit bigger than mine… like… A LOT bigger. That’s what Belize has to offer. 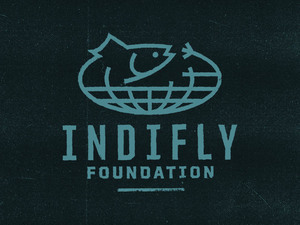 This entry was posted on Tuesday, December 7th, 2010 at 1:56 am	and is filed under Flies. You can follow any comments to this entry through the RSS 2.0 feed. You can leave a comment, or trackback from your own site.